My favorite funny anecdote is that one day an online marketer wakes up in horror from the nightmare that he has lost all his passwords. I actually get that nightmare too, but mine is worse. It’s that all my passwords have been stolen. As marketers, CEOs and managers we deal with too many fears daily: We have too many disasters to avoid. No wonder we get frequent nightmares. Let this article serve as a checklist to help you avoid some of the most unfortunate and embarrassing online marketing disasters (and hopefully give you more nights of good sleep). Life gets in the way: Either you get too busy with personal stuff or you lose an employee who used to be responsible for your domain renewals. Or maybe your card expires and your registrar’s notifications go straight into your spam box. Many things can happen preventing you from renewing your domains, and one day you may discover that your most important domain belongs to someone else. It’s a total nightmare that has happened more than you think – and to a few really huge brands! As a business owner, keep a close eye on your domain expiration dates and possibly renew them for many years ahead (the maximum amount of time you are allowed to hold a domain is 10 years) or set up an auto renewal. While neither of the above methods will guarantee your domains are safe forever, these will at least increase your odds of keeping them for as long as you need them. There are also new registrars that provide enhanced security, keeping your domains safer. For example, LCN gives you an option to receive text messages seven days before expiry. And Godaddy gives you almost 20 days after expiry to allow you to get those domains back. Another unfortunate thing that may happen to your business is the loss of your Google rankings. Now, it used to be easier to spot. A manual penalty would hit (and you’ll be notified via a helpful message inside your Webmaster Tools account) or a Penguin update would be announced and you suddenly see 50%-90% of your Google traffic gone. 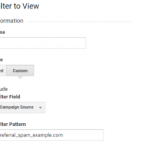 Inside Google Analytics, you could even identify which phrases exactly were hit (oh how I miss those good old times when we didn’t know what “non-provided” meant!). It would be hard to miss such a drastic change. Now those easy days are over. Google updates are no longer announced. Even if you keep track of the news and you hear webmasters talking about some mysterious traffic fluctuations, you might not even notice any changes in your analytics graph. These days, Google is trickier. In many cases the loss of traffic is very gradual, so one day you log in to your Google Analytics account and suddenly notice the unfortunate trend: You have been losing traffic for months! The solution is to monitor your rankings on a continuous basis using a tool which notifies you of both positive and negative trends – even mild ones. 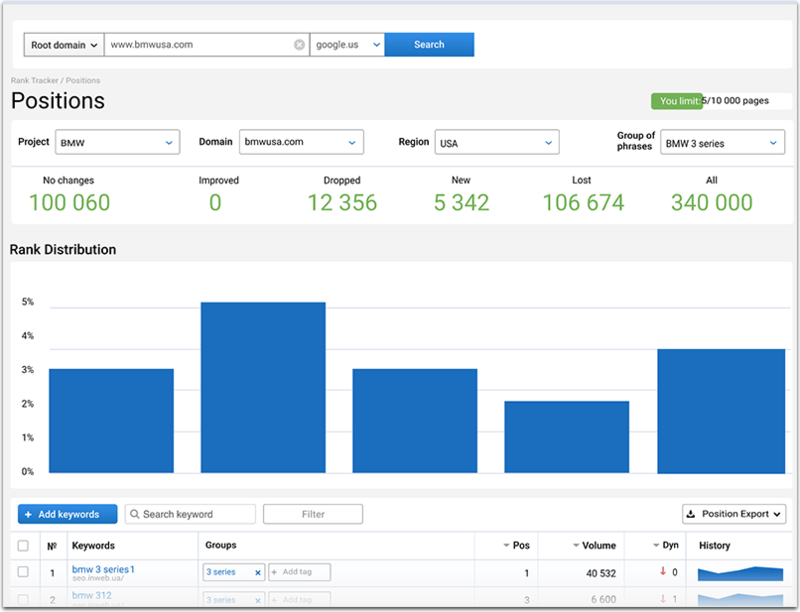 I am using Serpstat to monitor my rankings, mainly because they have many useful tools under one roof, so I can use the same login to run a quick competition research, check my rankings or even do a quick SEO diagnostic. The simplest way to lose an online customer is to send him/her to your site only to be greeted with a broken page. All the websites go down at some point, including the biggest ones like Twitter, Google and Facebook, etc. But how often is your site down? Most of best-known hosting providers have awful uptime statistics. If your site is hosted by one of them, it may be down more often than is excusable. These downtimes are especially unfortunate (and frequent) when it’s a busy season and you are supposed to be making money instead of fixing your website. Make sure your site is ready for a holiday season ahead of time. A great free way to keep an eye on your site downtime is to set up custom alerts inside Google Analytics. 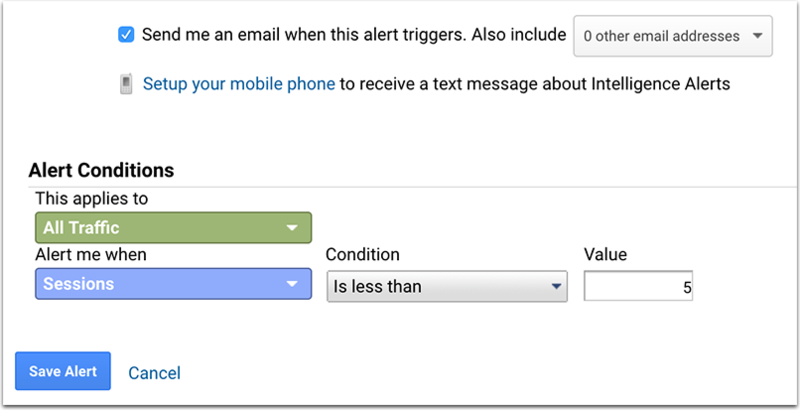 You can receive email alerts and text messages (the latter is for the United States only) whenever Google Analytics is not able to record any visits. You can also copy your dev team into each alert. Online reputation management is not only about keeping your brand navigational search results nice and clean of various rip-off reports and negative reviews. It’s also about monitoring your brand mentions and addressing any negative sentiment as it comes. In many cases a very pissed-off customer can be turned into a brand advocate if their concerns are addressed in real time. 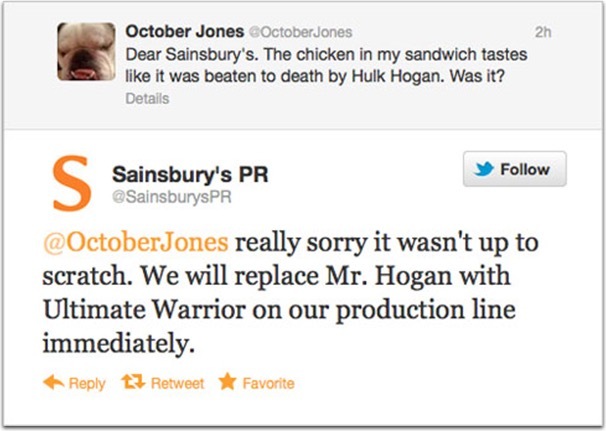 People are usually amazed to receive a public Twitter apology and are willing to give the company a second chance. I use Tweetdeck to spot my brand mentions as they happen. Tweetdeck delivers them right to my desktop, allowing me to skip those that don’t need a reply and quickly engage with those that require my attention. I also use Cyfe to collect and archive Twitter mentions around the multiple brands I monitor, including my competitors. Cyfe allows you to monitor an unlimited number of Twitter search results – which is handy when you own several brands. 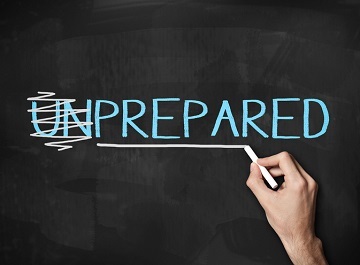 Are there business disasters you have successfully avoided? Please share your stories! This week, Google’s new “suggested clip” feature in search results shows how far its ability to search within videos has improved, and a new menu of Partner-only Features on Google’s Developer Blog hints at some exciting things to come. Google has just re-designed, revamped and re-launched its Earth product. What’s new, what’s improved, and how can marketers take advantage of the storytelling opportunities it presents?